The National Cat Awards finalists for 2017 have been announced and the winners will be claiming their accolades at a ceremony on Thursday 3 August in London. Tink, overall winner of the National Cat Award, 2016, rescued her family by awaking them from a raging house fire. The National Cat Awards finalists for 2017 have been announced and the winners will be claiming their accolades at a ceremony on Thursday 3 August at London’s Savoy Hotel. The National Cat Awards, sponsored by Purina, in conjunction with the Cats Protection, UK. Furrever Friends – Tales of friendship between children and cats. Most Caring Cat – Cats that positively impact a person’s health or well-being. Purina Better Together – Celebrating the special bond that has transformed and enriched the lives of both a feline and human. Cats Protection’s Special Recognition – Celebrating some of the amazing stories involving cats that have been rehomed by Cats Protection. 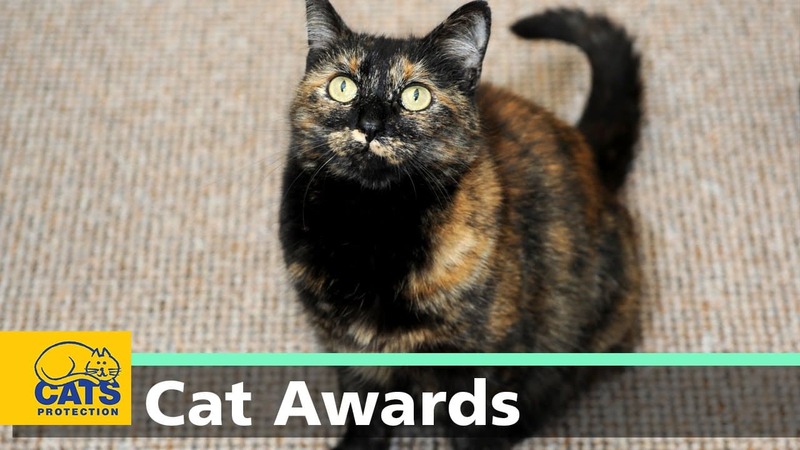 Each category winner will receive a trophy, a year’s subscription to Cats Protection’s The Cat magazine and a three-month supply of Purina® cat food. Last year’s overall winner, Tink, will be passing the crown to the 2017 National Cat of the Year. Tink, the winner of the Hero Cat category award, saved her family by waking them as a fire engulfed their home. For more information about the National Cat Awards, click here.